Want to start blogging? Then you’ll want to go with WordPress. It’s one of the most popular writing sites out there for good reason. It’s easy to use, looks great, and can help you create a professional blog in minutes. Here are 10 top tips that all beginning bloggers should know before they create their WordPress site. The best teacher is a blogger that’s been there before you. There’s lots of advice out there right now if you’re looking for help blogging, so make sure you read around before you get started. This article is a good start, but also check out WP Beginner which is full of useful tips you can put to use. CopyBlogger is another site that’s great for newbies, as it contains writing guides that you can use when creating your first blogs. You want to dive in and start writing right away, but before you do that, it’s best to play around with the interface first. WordPress is easy to use, but you will still need to get used to it. Find a guide to WordPress, and use it to explore the site. When you come to post your first blog, you won’t be as mystified by all the options available to you, and you won’t have to worry about making mistakes. 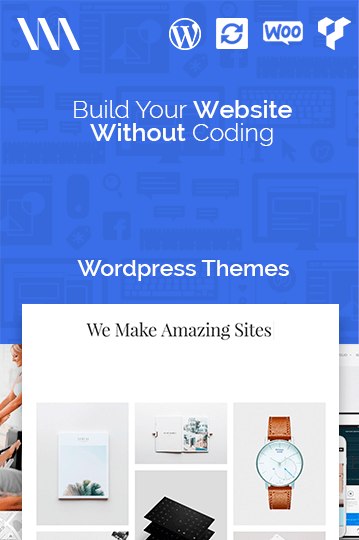 The basic WordPress theme is very much functional and will work well if you use it. However, it does look basic and slightly cheap. This can make your blog look less than professional, so a custom theme is needed. You can apply a theme quite easily to your blog, so play around with them. SEO, or Search Engine Optimisation, is vital for you to grow your readership. You’ll want to read more into SEO techniques and learn how to help people find your blog. A good place to start is Boom Essays, as recommended by the Huffington Post. 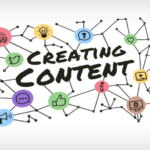 They’ll help you write content that SEO optimized, and get you started. Many online marketers will tell you that you need to be everywhere online if you want to get noticed. That’s not efficient though, as your audience will most likely be found on certain platforms. For example, if you post pictures of latest fashion trends in your blogs, your readers may well be on Instagram. Find where they are online, and focus your social media efforts there. It’s easy to post some writing online, but it’s not as easy to ensure that it’s correct. Fact checking is vital as it shows readers you’re professional and take care of the work you do. If you need help here, services such as the State of Writing and Grammarly can help you write accurate content for your blog. A plugin is something that you can add to your blog, to make it better. They’re great as you don’t need to know any code to get started. Just pick what you need from the various ones they have available online, and install it. For example, you can have plugins that display your social media links on your blog. Your blog won’t just be you writing posts day after day. You’ll need some permanent pages on it too, so readers can get the information they need. The ‘About’ page should tell them who you are and what you’re writing about, as an introduction. There should also be a ‘Contact‘ page, so those who want to get in touch with you can do so easily. Finally, before you post anything online, ensure you’re proofreading and editing. You don’t want to be caught out by stray errors when your work is live for everyone to see! Proofreading often works best if you have help. Sites like Via Writing and Reviewed have editing guides you can use, and can assist in proofreading your writing. These tips are going to help you get the most from WordPress. Don’t be afraid to play around with it and try all the features, to make your blog unique. Rachel Summers has been a social media manager for seven years. working with all kinds of companies to improve their social media presence. This includes Top Canadian Writers, a leading writing service. She also works with start-up companies to create social media strategies.